I'm really eager to learn more about Midde Eastern history so Delijani's novel, based on the realities of Iran's political unrest, seemed a good place to start. Although it's fictional in terms of characters and personal events, the locations and national circumstances are true. 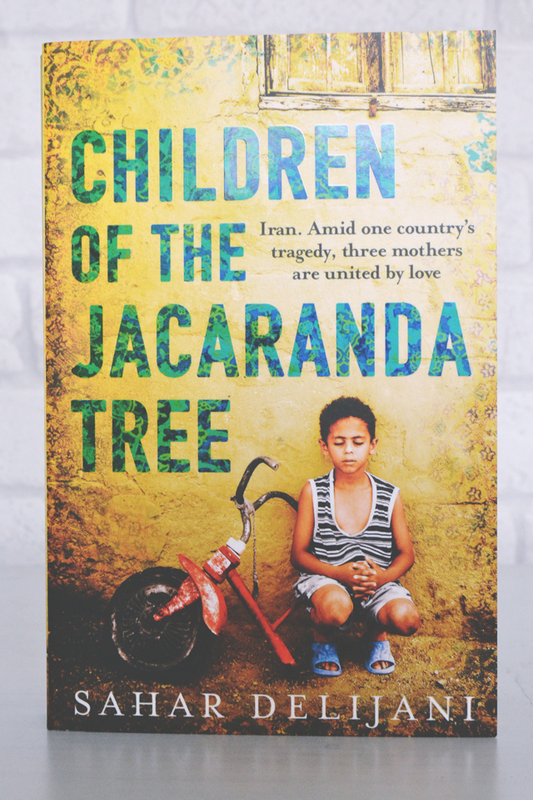 Children of the Jacaranda Tree, Delijani's first novel, tells the story of three women and their families affected by the political unrest of Iran in the 1980s. As the story progresses, we learn how the women, all kept captive within Evin prison for their roles in political activism, are linked: Azar, whose daughter is born within the prison walls; Firoozah, who copes in prison life by working with the authorities; Parisa, whose young son has forgotten who she is. Although the novel is based around these three women, the stories are mostly played out through their families, and the effect their mothers' imprisonment had on them many years into the future. I'll be very honest: I got confused. There are so many characters, all of whom are linked in a variety of ways, and the web got me into a right pickle. Evidently this is something that was mentioned before publication as there is a "Who's Who" at the beginning that I had to regularly refer to. This confusion was doubled by the format of the stories: They switch back and forth between families, locations and time frames. As I read, characters disappeared and reappeared according to the story which made for hard work. However, Delijani's use of language is absolutely beautiful. The way she describes Iran through the use of sights, sounds, scents and tastes is masterful and really builds up a multi-dimensional image of life for the families at the time. Despite this, there is no sugar coating. Her writing lays out the realities of Iranian life bare and forces the reader to inspect them carefully: This is what life was like. As beautiful as Delijani's writing is, I just couldn't get past the muddling in my mind. I found it difficult to appreciate the story as I couldn't grasp how families and events were linked, which unfortunately hindered my enjoyment of the novel. For this I give it three out of ten. If you're also interested in Middle Eastern history, I recommend I Am Malala. Different in the sense that it's a memoir, and based in Pakistan rather than Iran, it's nevertheless a poignant and moving glimpse into what happens when people speak out against tyranny in Asia.